Access the industry’s most comprehensive private market data sets and tools. Maximize performance with solutions to reliably compile portfolio company data, efficiently value investments and deliver effective, shareable investor reporting. Enhance your point of view with publications, surveys and events that provide insider access to the largest global network of alternative assets experts. Our unparalleled industry relationships, knowledge and dedicated global research teams combine to provide you with data you can trust, spanning the alternative assets industry. Raise capital effectively and efficiently, benchmark yourself and manage your portfolio. Source and screen new investments, manage your portfolio and stay ahead of the market. Broaden your network, build the right pitch and achieve fundraising success. Monitor the market and your competitors, and achieve your business development goals. Stay informed, source new business and find the right opportunities for your clients. Source new business, analyze the market and be the first to know about market developments. 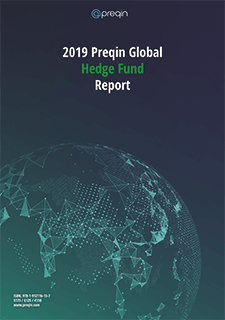 Our 2019 series features valuable data, analysis and expert commentary on fundraising, fund managers and AUM, investor appetite, deals, performance and much more.